Coral reefs are some of the most complex and stunning seascapes on earth. They are incredibly fragile ecosystems created by the skeletons of millions of small marine invertebrates. 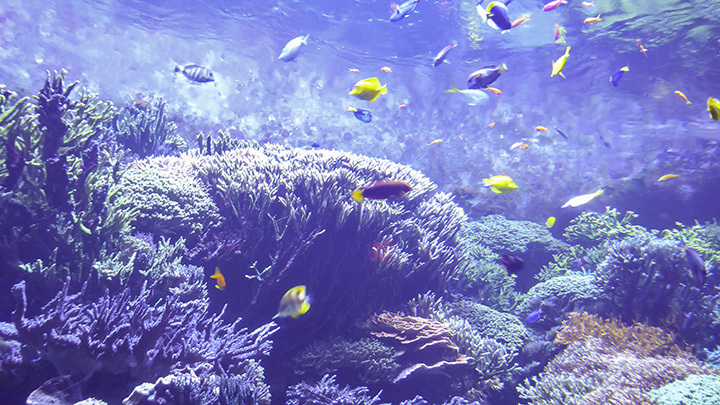 Ever-expanding, the coral reefs in Hawaii are home to thousands of fish and many types of marine life. The primary threat to Hawaii’s reefs are excessive soil runoff and contaminants in the water. For these reasons, the Coral Reef Initiative and the Hawaii Coral Reef Networks protect coral reefs through research and conservation. Hawaii has examples of the three basic types of reefs. They are fringing, barrier and atoll reefs. View of reef from Kaloko-Honokahau National Monument. Most of Hawaii’s reefs are fringing reefs. They start close to the shore and grow outwards from the island. The reefs outside Kaloko-Honokōhau National Historical Park and inside Hanauma Bay are fringing reefs. Hawaii has examples of barrier reefs in Kaneohe Bay on Oahu and on the southern side of Molokai. Here, the reefs start their growth further away from the shore. Then they grow outward towards deeper water, often leaving a lagoon between the shore and the reef. When a fringing reef continues to grow upward from a sunken volcanic island, it creates an atoll reef. The atoll reef is circular in shape with a lagoon in the center. Examples of atoll reefs in Hawaii are the French Frigate Shoals and Kure Atoll in the Northwestern Hawaiian Islands. These islands are a part of the Hawaiian Islands archipelago, northwest of the island of Kauai. Hawaii has over 85% of the coral reefs in America, with most of them in the Northwest Hawaiian Islands. The reefs in the Northwest Hawaiian Islands is part of the largest marine conservation area in the world. This Papahānaumokuākea Marine National Monument has some of the most amazing reefs and marine life on the planet. Unfortunately, travel to this area is virtually impossible at the present time. This is because there is currently no public access to this one-of-a-kind marine monument. You can see examples of beautiful reef systems within the eight major Hawaiian Island as noted below. Hanauma Bay is a State of Hawaii marine sanctuary in east Honolulu. Within this conservation area, you can see an abundance of marine life and a reef ecosystem in a pristine state. 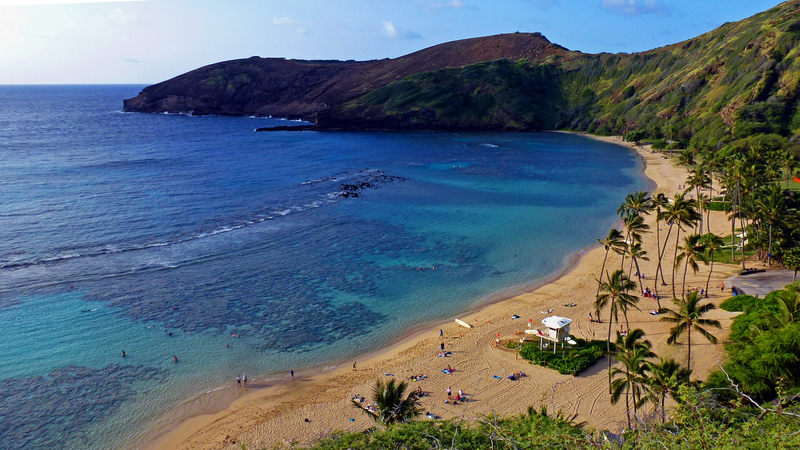 This makes it an extremely popular place to see coral reefs in Hawaii. Kaneohe Bay on the northeast coast of Oahu has a shoaling coral reef and numerous dive spots. Swimmers can enjoy glimpses of humuhumunukunukuapua’a (trigger fish), uhu (parrot fish) and the hammerhead shark. 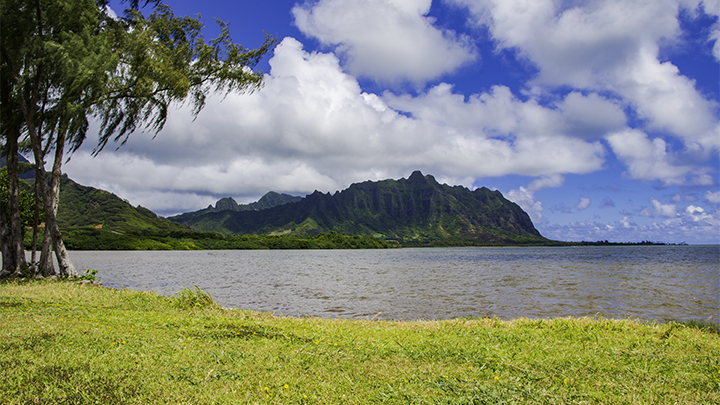 Because of this, Kaneohe Bay is a very popular place for water sports and fishing on Oahu. The visibility of the water in Kealakekua Bay on the Big Island extends over 100 feet. Because it offers unparalleled views of Hawaiian reef life, it has become a favorite spot for divers. In Kaohe Bay outside of Kona, divers can admire some of the most unspoiled reefs in the Aloha State. While diving here, you may even spot the rare and endangered Hawaiian monk seal. Honaunau Bay, also on the Big Island, has a beautiful and extensive reef system. 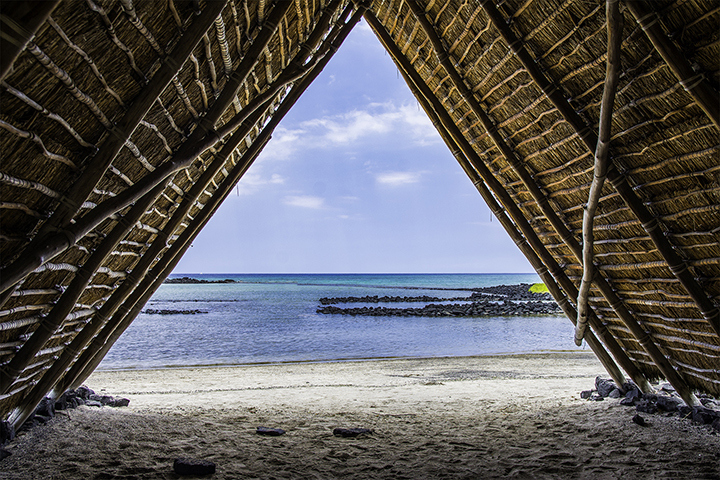 Because of this, it’s the perfect place to watch dolphins dive, sea turtles and vibrant fish. 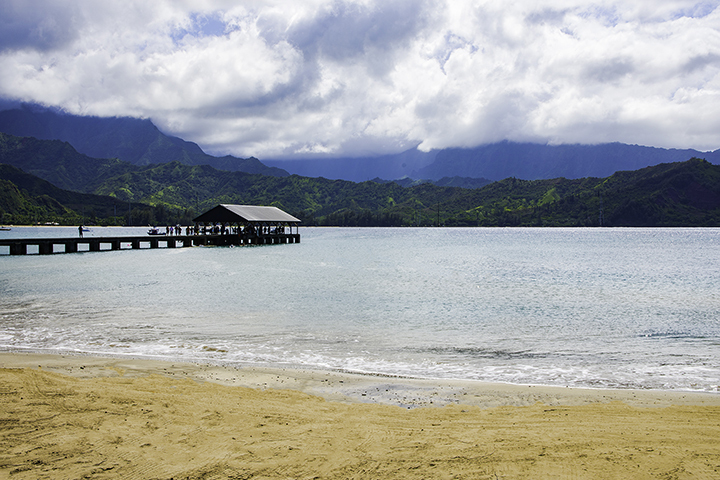 Hanalei Bay in Kauai has coral reefs on the sides and in the center of the bay. With a sunken ship and clear waters, this is a fantastic place to witness the Hawaiian seascapes. The Coral Gardens on Maui’s western coast teem with life in one of Hawaii’s most unique and beautiful coral reefs. While Turtle Reef is another dynamic dive spot to see a wide range of fish species. Molokai has many diving places with one of the largest barrier reefs in Hawaii, extending 27 miles. Miraculously surviving from soil run-off, the coral reefs around Molokai are a must-see for avid divers. Whenever visiting, bear in mind that the islands are not only home to residents, but also to marine life. Hawaii welcomes visitors with the Aloha spirit. But just as you would politely enter a stranger’s home, it is important to practice this etiquette in the ocean. The beauty of the coral reefs in Hawaii are meant to be enjoyed by all. Because of this, it’s important that everyone does their part to protect them for future generations.